Sexual harassment isn't something that only happens in the workplace. 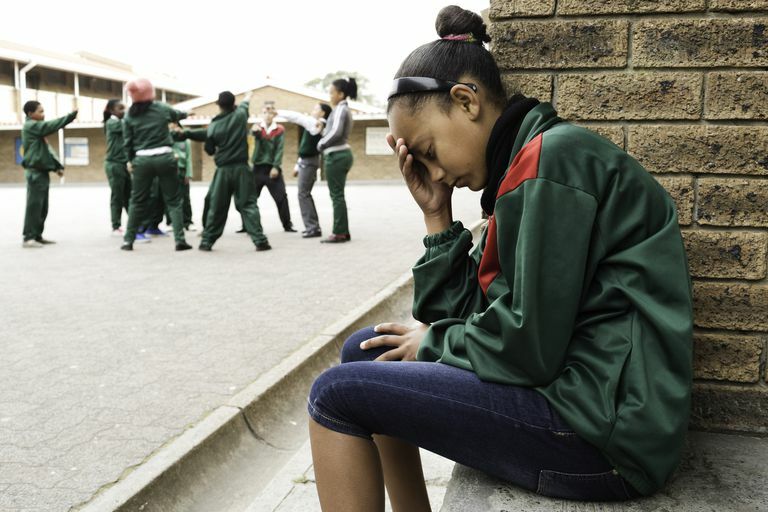 Research shows that many middle-school children are victims of verbal sexual harassment, and that this behavior is linked to bullying and has roots that begin as early as elementary school. Fifth and sixth graders who bully often use homophobic language such as “gay” or “fag,” especially when they think a child isn’t showing enough stereotypical behaviors of their gender (a girl being feminine or a boy being masculine). When this happens, says Dr. Espelage, the stage is set for sexual harassment, and kids who are called these names often then turn around and sexually harass other kids to prove they are not gay. As many as 25 percent of kids reported being forced to kiss someone and even being sexually assaulted, and 21 percent of students reported having been touched, grabbed, or pinched in a sexual way. Nearly one in five, or 18 percent, said other kids had brushed up against them in a suggestive manner. Students said their private areas were touched without consent and reported being “pantsed”—having their pants or shorts jerked down by someone in public. About 14 percent of kids reported having been the target of sexual rumors, and 9 percent said they had been victimized with sexually explicit graffiti in school locker rooms or bathrooms. Watch who they hang out with. “Monitor, supervise, and know the parents of your child’s friends,” says Dr. Espelage. Talk to your children about how to treat people and what is and is not respectful. Keep the conversation going. This isn’t a one-talk topic. Be sure to take each opportunity in your day-to-day lives to teach kids about respect and gender bias. When you pass an ad showing a woman in a skimpy outfit being used to sell a product, talk about how that can be a harmful message and ask your child to think about questions like why men aren’t shown that way as much or why women tend to be judged more for how they look instead of who they are. Have regular conversations about how people should be viewed based upon their talents and abilities and the strength of their character (how nice they are or if they do charitable work or volunteer and help others) instead of what they look like or what they are wearing. Talk to your school. If your child has been the target of bullying or sexual harassment, or has witnessed it in her school, talk to teachers and administrators. One of the most surprising findings of this research was that many kids dismissed what they experienced as not being a big deal, even when they described these incidents as upsetting. This attitude is likely in part the result of school officials failing to address sexual harassment as part of bullying prevention programs, says Dr. Espelage. This study highlights the importance of making sexual harassment prevention a part of the national conversation about bullying. Don’t be afraid to be different from other parents. Chances are, many parents aren’t talking enough with their kids about things like gender bias and sexual harassment. “If your child says, ‘Other parents don’t do that,’ then you’re doing something right,” says Dr. Espelage.